You know that heart-wrenching moment when you leave your house to do something fun without your dog and they just STARE at you with those sad puppy eyes? Us, too. But with this handy (paws-y?) guide to Downtown for dogs, you won’t have to sneak out the front door again. Grab that leash and GET EXCITED TO GO OUTSIDE. Next time you're considering a Downtown staycation, bring that pooch along! 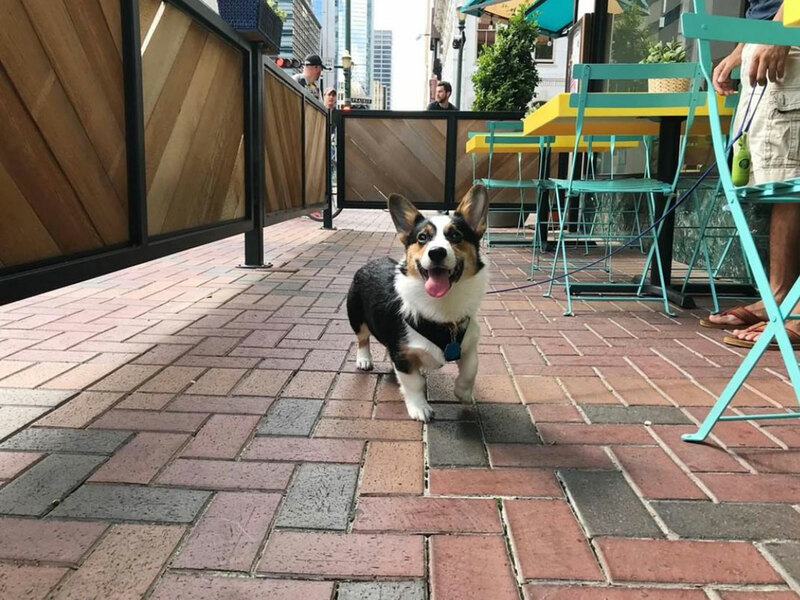 The JW Marriott doesn’t just welcome dogs, they’ve got an official Pet Director named Sir Griffin (can we get an awwww? ), and he’s happy to share his favorite Downtown fire hydrants—among other things. 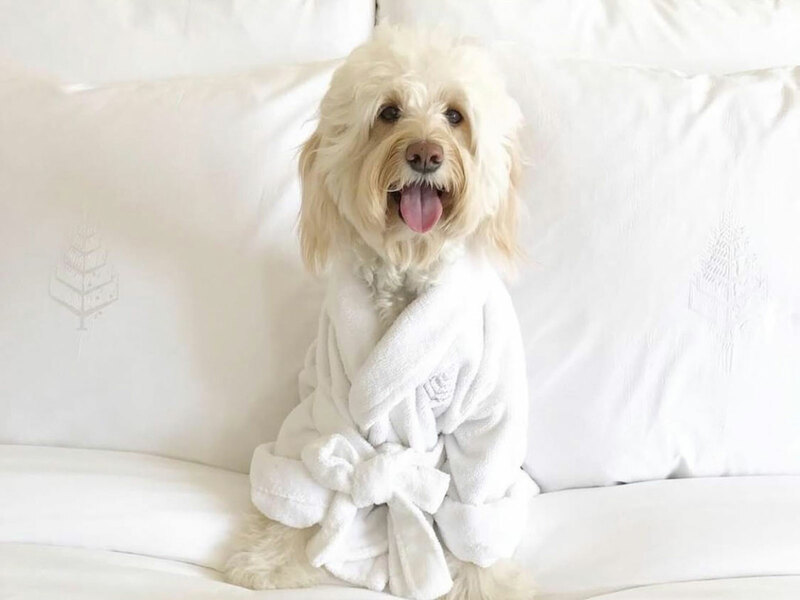 Throw your pup a bone by booking lux accommodations at the Four Seasons Hotel. After a night of doggie dreams, walk a few blocks over to Discovery Green and live them for real with a quick game of fetch or a walk in the park before heading out for dinner. Inspired by a big sheepdog (the owner's favorite childhood pal), Barnaby's is a canine-friendly concept located in Historic Market Square. The restaurant is known for its hearty portions, so be sure to request a doggie bag for your leftovers and a tasty treat for your pupper. Grab a seat on Local Foods' vibrant patio and dine alongside your dog. While you're loving the fresh air and favorites like the crispy chicken sandwich, salmon poke salad or the chicken posole, your pup will be indulging all the passers-by with head-pats and tail-wags. Take a break from playtime and enjoy some of the city's most well-known Greek cuisine in the middle of Market Square Park. Surprise your good boy with a free puppy treat while waiting in line—if he’s behaving himself. There's no shortage of southern hospitality at Moonshiners, and that extends to canine copanions. Relax with comfort foods like the grilled cheese brisket sandwich or popular chicken and waffles while you sit (and stay) on the shady patio. After your game of fetch, rollover (heh) to The Lake House for burgers, franks and a great view of the water in Discovery Green park. At the top of every dog parent's list should be Market Square Park. This vibrant green space in the Historic District boasts TWO dog runs for both large and small dogs. Pups of all sizes can cavort and play catch, or even splash around by the canine-accessible drinking fountains. 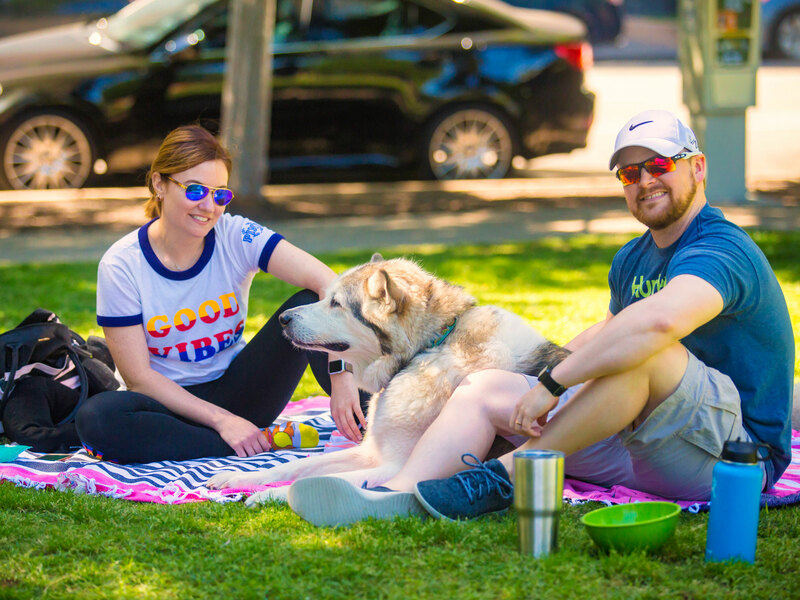 The park hosts year-round events like movies on the lawn, concerts and Blanket Bingo, all of which your four-legged friend is welcome to attend. Of special note: Puppies for Breakfast is Houston's largest outdoor festival, and it takes place here every spring! Discovery Green is a dream come true for both the two-footed and the furry, four-pawed variety when it comes to parks. There's tons of room for rumbling and tumbling in both their large and small dog runs. Like Market Square Park, doggos are always welcome at concerts, movie screenings, festivals and most other events at Discovery Green. Downtown loves pets, and photos of them! If you're venturing through Downtown with your dog, share your adventure with us by using the hashtag #DTHTXDogs.